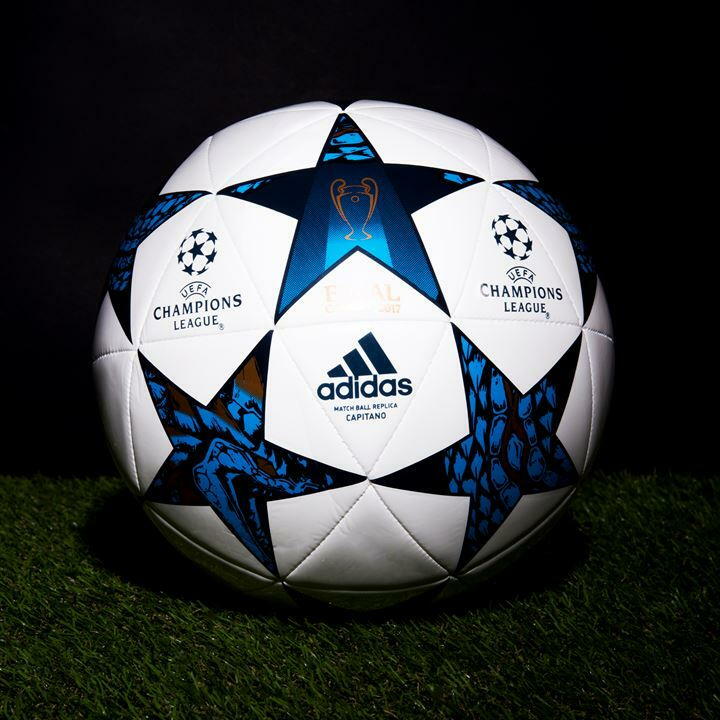 With every first leg tie of this year’s UEFA Champion’s League Semi-Final round now said and done, TheSportWriter.com has you covered in our review of each game which took place earlier this week. Defending Champion’s League holders Real Madrid were able to earn themselves a crucial 3-0 away win on Tuesday night. This meant that going into the second leg tie next week, they most definitely hold a great advantage. Cristiano Ronaldo was able to open the scoring after just three minutes – placing the ball past veteran Juventus keeper with an assist from Isco. However, it wasn’t until the 64th minute that the net was found once more. The goal was scored by none other than Cristiano Ronaldo, who smashed the ball into the back of the net with a spectacular overhead kick. For those that haven’t seen the goal, just take a look below and prepare to have your breath taken away! Things got worse for the hosts by the 66th minute, as star striker Paulo Dybala received a second yellow card. As a result, the Argentine international was forced to leave the pitch. By the 72nd minute, the game was truly put to bed after Brazilian defender Marcelo found the net with a scrappy goal. 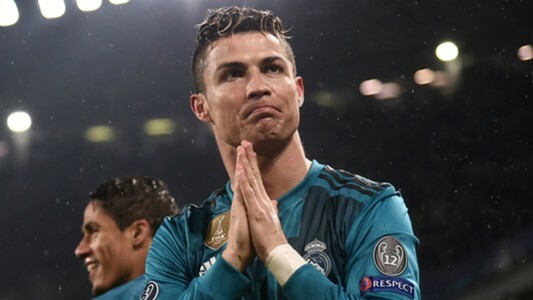 You don’t even need to ask who provided the assist – it was of course Cristiano Ronaldo – deserving winner of the Man of The Match award with his outstanding performance. Going into the second leg, Madrid have a comfortable lead. Considering the reverse fixture will be held at the Bernabeu, it won’t be easy for Juventus to turn things around! German giants Bayern Munich were able to earn themselves an away win against Sevilla on Tuesday, storming to a 2-1 victory. The hosts went ahead in the 31st minute with a goal from Pablo Sarabia. However, former Manchester City winger Jesus Navas found the net to draw the score level. Unfortunately for Sevilla, it was an own goal! 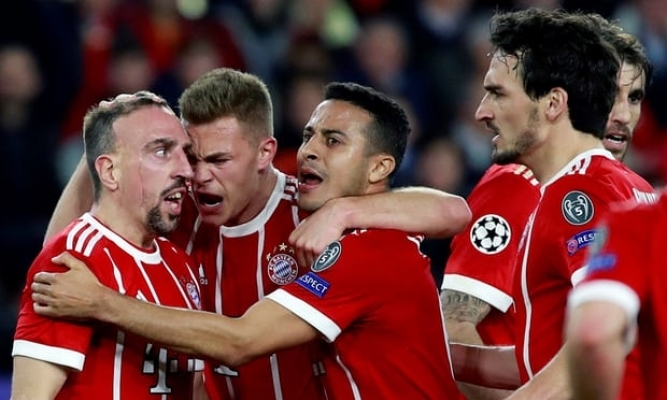 Thiago Alcantara was then able to score the winning goal in the 68th minute, which meant Bayern now go into the second leg with a two away goal advantage. Come next week, Sevilla will most definitely have a difficult task on their hands in order to seal progression to the semi finals. Spanish giants Barcelona earned themselves a substantial win on Wednesday night with a 4-1 home victory against their Italian opposition AS Roma. There were no goals until the 38th minute, when club legend Daniele De Rossi was unfortunate enough to place the ball into the back of his own net. However, things got worse for AS Roma, as in the 55th minute they conceded another own goal which was scored by Konstantinos Manolas. Just four minutes later, Gérard Pique was able to add a third for the Spanish hosts. AS Roma were able to pull one back in the 80th minute thanks to Edin Dzeko, but it was nothing more than a consolation goal. Finally, to finish off the scoring with just three minutes to go, striker Luis Suarez then found the back of the net with just three minutes left to play. Barcelona look incredibly likely to progress to the semi finals this year with a comfortable win against AS Roma. However, stranger things have happened so we can’t rule out AS Roma altogether, especially as they’ve earned themselves an away goal. 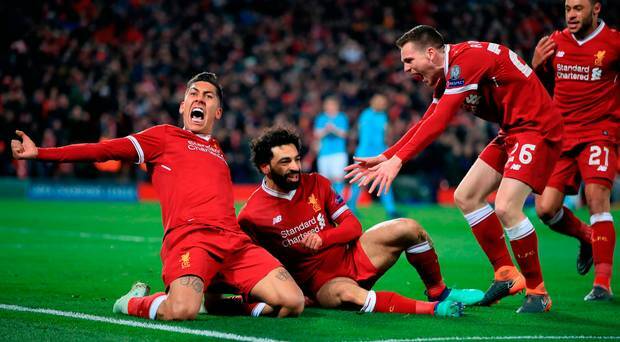 Liverpool were able to emerge victorious over high flyers Manchester City on Anfield on Wednesday night. Earning themselves a 3-0 win, Liverpool turned up the heat from the get go, with City punished by the attacking prowess off the hosts. Mohammed Salah, who is having an incredible season for Liverpool, opened the scoring in the 12th minute. Alex Oxlade Chamberlain then scored a second for the Reds in the 21st minute with a fine strike after being assisted by James Milner. The final goal of the game came in the 31st minute, and was scored by winger Sadio Mane, who has been a crucial member of the first team ever since his move from Southampton in 2016. Despite City’s best efforts, the hosts proved to be all too much for them. For that reason, Liverpool now hold a significant advantage ahead of the second leg fixture next week. However, given City’s outstanding performances this season, particularly at home, it wouldn’t be surprising to see them make a huge comeback. Don’t forget to tune in next week to see all of the action, and keep an eye out for our review. Let us know your thoughts in the comments section below, or on Facebook, Twitter, or Instagram.